Welcome to the YOUNG ADULT GIVEAWAY HOP! This hop is hosted by I am a Reader, Not a Writer and Reading Teen. 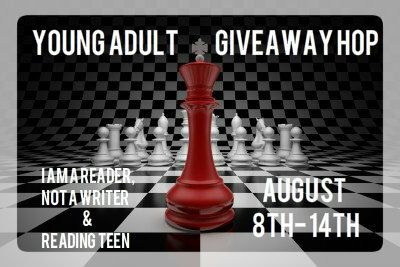 I am really excited for this hop and the celebration of Young Adult novels! I will be offering one of the following new releases to ONE lucky winner! 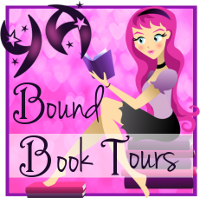 My choice is Girl of Nightmares by Kendare Blake. Thank you very much for the giveaway! I would say Skylark or Insignia! Can’t choose right now! Thanks for the chance to win this awesome giveaway! The Thing About the Truth! Sounds really good! Pushing the Limits (I think). Thanks for the awesome giveaway! Pushing The Limits. I’ve heard great things about it!!! I’d pick Girl of Nightmares! I would choose Insignia! I was at one of the Dark Days tour stops, and the author was there. I’d probably pick Girl of Nightmares! I’d love a copy of GIRL OF NIGHTMARES, I think! Thanks! The Thing About the Truth by Lauren Barnholdt! I would pick The Thing About The Truth. You picked some awesometastic books for this giveaway so the choice is definitely not easy.. but.. I would go with False Memory – looks like a must-read to me and I heard people raving about it! Can’t wait to check it out 🙂 Thanks for the chance to win!!! Hmmmmm.. Pushing the Limits, maybe. I’d love Skylark!!! I’ve heard great things! Thanks!!! Pushing the Limits. Thank you for the giveaway! I would choose Skylark! Thanks for the giveaway! I’d probably choose Girl of Nightmares..but Pushing the Limits sounds AWESOME too! Thanks for the giveaway~ I have my fingers crossed. I’d pick either Girl of Nightmares or Pushing the Limits. I would choose Pushing the Limits. I would pick Girl of Nightmares. Thanks for the giveaway! My choice is Insignia. Thanks for the giveaway! I would choose Insignia ! Pushing The Limits! I’ve be pining after this book for weeks! The thing about the truth by Lauren Barnholdt is terrific! 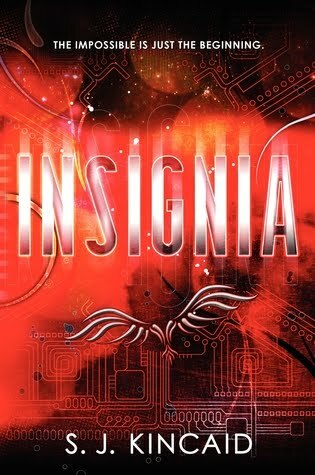 I’m a huge sci-fi fan so I think I’ll go with Insignia. Insignia! Thanks for the giveaway! Wow, great list of books! I’d pick between Insignia, Girl of Nightmares and Skylark… lol. I’d pick Girl of Nightmares or Pushing the Limits! Girl of Nightmares or Pushing The Limits. Pushing the Limits by Katie McGarry. I would choose Pushing the Limits. This book sounds amazing and I really can´t wait to read this book! 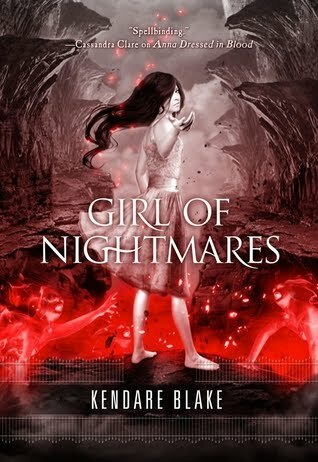 I would want to win Girl of Nightmares by Kendare Blake. I would likely choose Skylark. I think I’d choose Skylark or The Girl of Nightmares. 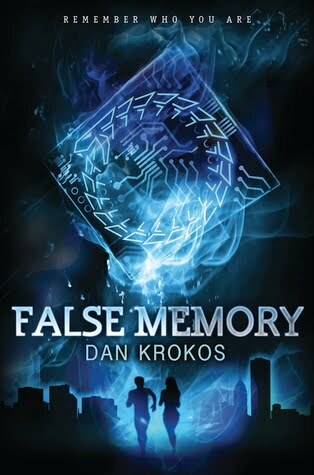 False Memory by Dan Krokos – i love the cover and it looks intriguing. The thing about the truth! The Thing about The Truth or Pushing the Limits. I guess I’d choose Skylard, or Pushing the Limits or maybe Girl of Nightmares. It’d be a hard decision. I’d pick Pushing the Limits! Dying to read that one soon! Pushing the limits- it sounds awesome! I would probably pick False Memory. Skylark or False Memory. Maybe Pushing the Limits…gahh their all great sounding! I’d pick Pushing the Limits 🙂 thanks for the giveaway! 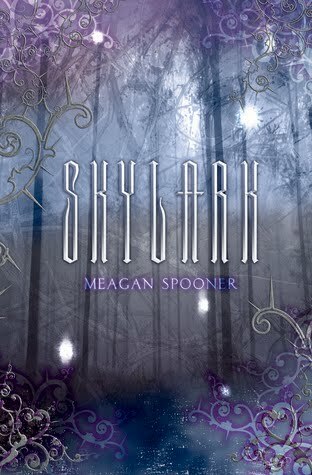 I’m not sure but I think Skylark… purely because the cover is so beautiful! If I win I’ll choose Pushing the limits. False memory or Girl of Nightmares. The Thing About The Truth. I would pick Skylark. Thanks for the awesome giveaway! Skylark or The Thing About the Truth. I’d choose Insignia or False Memory! I’d love to win Girl of Nightmares!! I’d love a copy of False Memory please. Thanks for the giveaway! I would choose Skylark, Thanks so much for the giveaway! False Memory– so excited for that one!! I’d pick Pushing The Limits! I’d probably take Pushing the Limits. Thanks for the giveaway! Tough choice. Would probably pick Pushing the Limits or The Thing About the Truth. Thanks! If I were to win, I would pick The Girl of Nightmares. Thank you for the giveaway! I’d choose Pushing the Limits. Thanks for offering! I would probably pick False Memory Thanks for the great giveaway! I would choose Pushing the Limits, Thanks for the chance at this great giveaway! Either Pushing the Limits or Skylark. Thanks! Pushing the Limits! I’ve wanted to read it for so long! Oooh, tough choice! I’ll say Pushing the Limits. I´d pich Pushing the Limits, thank you for the giveaway. Either Skylark, Pushing the Limits or False Memory. That would be a tough one! Thanks for the chance to win! I love to have Skylark or pushing the limits! I would pick Skylark! I’ve heard SO much about it! I’d love to win Skylark! Skylark!But only because I already have Pushing the Limits. I would pick ‘The Thing about the Truth’. pushing the limits is one i have been wanting to read! thanks for the giveaway!!! Oooh! Nice book covers! I’d go for Skylark. It would be a tough decision between Insignia and The Thing About The Truth! Thanks! I’d pick Girl of Nightmares. Girl of Nightmares, I have seen this book everywhere lately and have been dying to read it. Thx for giveaway. girl of nightmare!! that book sound so great! thanks for making this international!! I would go for The Thing About the Truth. Thanks for the giveaway! Probably Pushing the Limits, thanks! I’m thinking I’d probably choose Skylark. Girl of Nightmares! 😀 you rock!!!! I would pick Insignia or Girl of Nightmares! I would pick Pushing the Limits. I’ve been eyeing this one up for a while! The Thing About the Truth. Thanks! I’d pick Pushing the Limits 🙂 thank you for the giveaway! Definitely Girl of Nightmares~ I loved Anna Dressed in Blood! the thing about the truth..
i would pick Pushing the limits! I think I would pick False Memory!! I’d love to win Pushing the Limits by Katie McGarry. girl of nightmares looks good!! The Thing About the Truth! Thanks! It would be a hard choice. There are some great titles in that list. I might choose Skylark. The Thing About the Truth by Lauren Barnholdt. Thanks for the giveaway! I’d pick either Insignia or Skylark. Girl of nightmare looks great! I think I’d choose Pushing the Limits. Thanks! Skylark out of the books featured. Although I wouldn’t mind reading Sweet Evil. Book choice: Pushing The Limits. I think I would pick Girl of Nightmares. Thanks for the giveaway! I would choose Pushing the Limits! I’ve heard great things about both Pushing the Limits and Skylark 🙂 Thanks for the giveaway! I think I would choose Pushing The Limits! Girl of Nightmares….love that cover. Or, Pushing the Limits. I keep seeing great reviews about it. The Thing About the Truth and thanks for the giveaway! Thanks for this amazing giveaway! I would love to win and pick Insignia or False Memory! Most likely Pushing the limits because I want a paperback copy or Skylark or Insignia. Thanks for the great giveaway and for making it international! Pushing the Limits because I read it and it was awesome and now I need my own copy! I would probably pick False Memory. Looks like an interesting read. Thanks for the giveaway! I would choose either “Pushing the Limits” or “The Thing About the Truth.” You can never go wrong with a YA romance! I would pick False Memory! thank you for the giveaway! and i would pick girl of nightmares, i’m dying to read it. I’d pick Pushing the Limits in a heartbeat! Thanks for the chance to win! Skylark! It looks like a great read! The Girl of Nightmare. Thanks for the giveaway! I think False Memories or Girl of Nightmares. All of the titles sound great, but I’m thinking either Insignia or Pushing the Limits… but I’m not sure. Thanks for participating in the hop & for this giveaway opportunity. 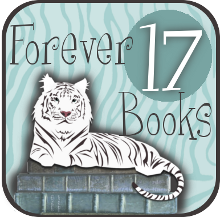 The Book Hookup: Eat. Breathe. Read! I really want to read The Thing About the Truth. I would pick Pushing the Limits. Thanks for the giveaway and for being part of the blog hop! Even though I haven’t read Anna Dressed in Blood, I think I’d pick Girl of Nightmares, just cause everyone seem to loooove this series! Pushing the Limits – Thanks! I think I’d pick Pushing the Limits. I think I’d either pick Skylark or Insignia. Been reading great things about it! I think I’d choose Insignia. I am curious about False Memory and Girl of Nightmares 🙂 and . . . Thank you for your generosity. Insignia all the way! Thanks so much for this giveaway! You rock! I’d pick The Thing About the Truth : ) Thanks for the giveaway! How difficult to pick one of those books! But I think I’d go with Girl of Nightmares if I were to win. Thank you for the great giveaway! I think I’d choose Girl of Nightmares. I’d pick Pushing the limits. I would love False Memory! Skylark because I like the cover. Yep I’m judging. I really, really, really want to read Skylark. I’d love to read Girl of Nightmares! I’d pick Girl of Nightmares 🙂 Thanks for the opportunity! I’d probably pick False Memory. Thanks For the giveaway! Pushing the limits, for sure!!! The clearness in your post is simply cool and i can assume you’re a professional on this subject. Well together with your permission allow me to grasp your feed to stay updated with impending post. Thank you a million and please carry on the enjoyable work.